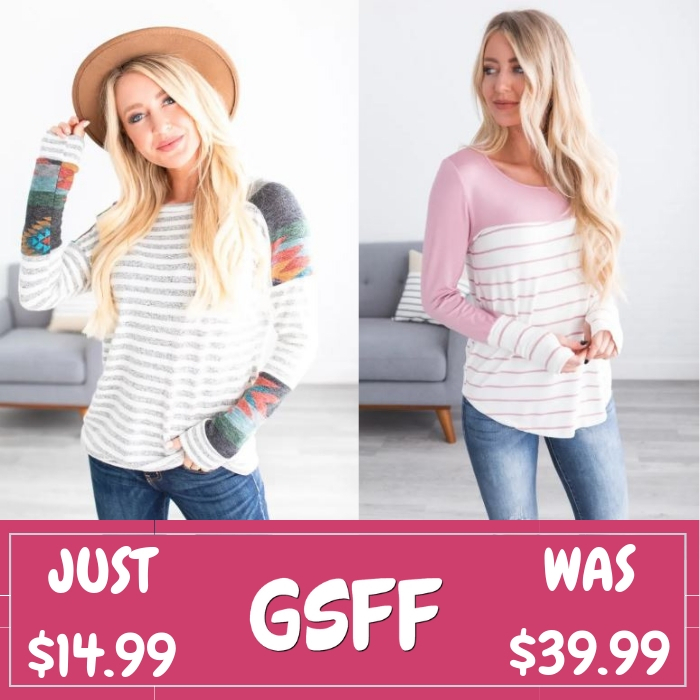 Long Sleeve Top Just $14.99! Down From $40! Shipped! You are here: Home / Great Deals / Long Sleeve Top Just $14.99! Down From $40! Shipped! Through February 8 only! Score this Lightweight Long Sleeve Top which is on sale at Jane for just $14.99 down from $39.99 PLUS FREE shipping! This Light Weight Long Sleeve Top Collection is so colorful and fun, you’re sure to love it! From the button detail on the back to the long sleeves, to the comfy semi-loose fit, how can you resist? These tops are so soft and unique they are the perfect addition to your wardrobe this season! Rock them with your favorite pair of skinny jeans and you’re sure to love the way you look and feel!